A beautifully designed wednesday wallpaper is here for you to send to your love. 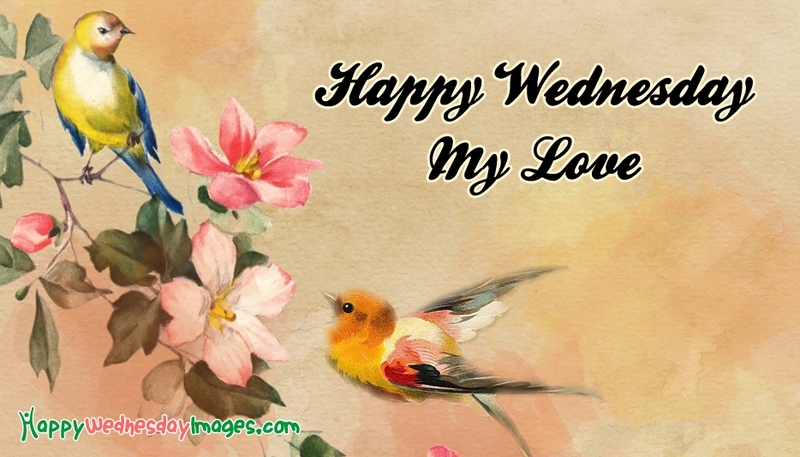 The picture beautifully portrays the image of two love birds having their time together on a twig and the wordings "Happy Wednesday my love". Through this picture express your love to your wife, crush, lover, husband, fiancee and make a chance for him or her to think of you.